When you think of nuns, you probably imagine women living a subdued life dedicated to religion and not having much fun. The sisterhood is considered to be quite rigid and certainly not a place where you’d learn an energetic dance routine! 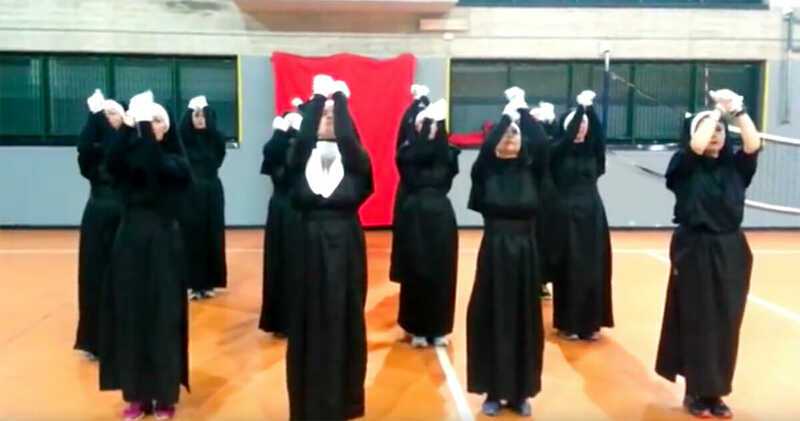 However, this epic high-energy performance will knock down any stereotypes you have about nuns. The nuns gathered together to show the people in their community that they haven’t forgotten how to have some good old-fashioned fun. They reserved space at a local recreation center and got ready to perform their show. 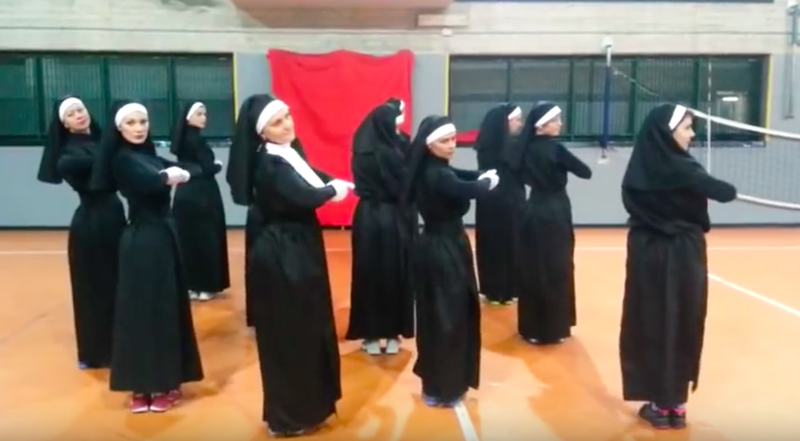 The nuns choreographed their very own dance routine — but not one that their audience would ever expect. They start out slow and when the beat kicks in, they shock their audience by picking up the pace. Suddenly, these sisters come to life! The music gets faster and their feet start tapping. They excitedly jump back and forth to the repetitious chant “I love him!” with big smiles on their faces. What starts out as a slow moving dance number turns into a thrilling display of energy that leaves their audience reeling with laughter. 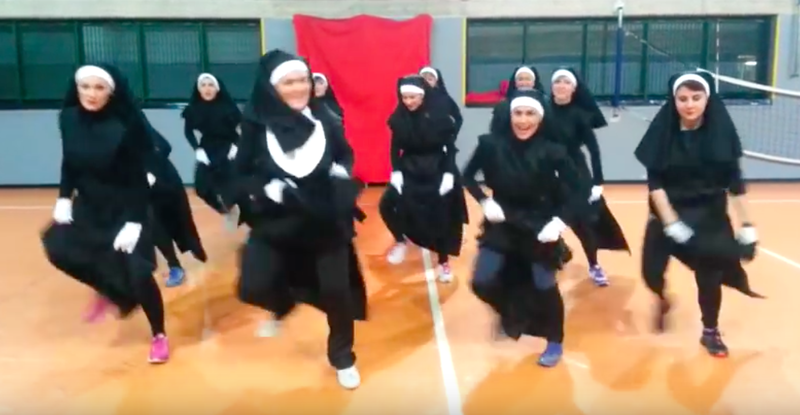 These nuns prove that devoting your life to religion doesn’t mean giving up on fun. Please share this happy display of hard work and devotion with your friends and family and give them something to smile about today.